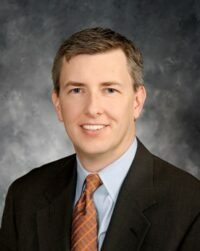 Michael E. Rowan joined Shumaker Williams in 2006 as an associate and became a shareholder in 2008. He is a member of the Firm’s Litigation Department and Labor and Employment Law Group. Mr. Rowan concentrates his practice in the areas of litigation and labor/employment law, primarily representing commercial and business clients. His litigation practice focuses the representation of business clients in both state and federal courts, including bankruptcy courts, in Maryland, Pennsylvania and the District of Columbia. His practice includes handling complex commercial and class action matters through all stages of litigation, including appeals. With regard to labor and employment law, Mr. Rowan focuses his practice on the representation of both public and private sector employers in union and nonunion environments. His experience includes litigation of employment discrimination actions (including Title VII and ADA cases), FMLA and FLSA matters. Mr. Rowan also litigates and advises clients concerning common law employment issues such as wrongful discharge, non-competition/non-solicitation agreements and trade secret issues. Prior to joining Shumaker Williams, Mr. Rowan was an attorney in a civil litigation practice in the Baltimore area. His prior experience includes commercial litigation and class-action matters, personal injury, product liability, premises liability, and toxic-tort matters. Moreover, Mr. Rowan has experience in estate planning, including the preparation of wills and trusts. Before entering private practice, Mr. Rowan was the law clerk to the Honorable Judge Ronald A. Silkworth in the Circuit Court for Anne Arundel County. Mr. Rowan is licensed to practice in Maryland, Pennsylvania, District of Columbia, New Jersey, and the United States District Courts for the District of Maryland, District of Columbia, Eastern District of Pennsylvania, Middle District of Pennsylvania and Western District of Pennsylvania. He is a member of the Maryland Bar Association, District of Columbia Bar Association, Pennsylvania Bar Association and the Baltimore County Bar Association. Mr. Rowan earned his law degree from the University of Maryland in 1998 and his B.A. from Saint Joseph’s University in 1993. While at the University of Maryland, Mr. Rowan was an associate editor of The Business Lawyer and interned with the Enforcement Division of the United States Securities and Exchange Commission.